Then comes the reckoning & they laugh no more. Although this quotation may sound like a reminder of the Last Judgement, in fact it was being used to advertise something far more prosaic: Eno's Fruit Salts. These were made in the Borough of Deptford, at Hatcham. 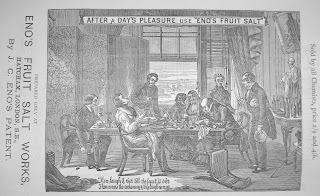 Mr. J. C. Eno, the sole manufacturer of that refreshing, cooling, and health preserving beverage known as Eno's Fruit Saline, opened his works in this parish, 8th July, 1878, the business having been started at Newcastle some few years previously. The manufacture of the Fruit Salt - which is an extract of sound, ripe fruit, embodying in a most pleasant form the saline virtue of the richest fruit juices - gives employment at the present time to some fifty people, and if the consumption increases in the same ratio as during the past few years, considerable additions will soon have to be made to the already extensive premises. Eno's Fruit Saline, as a drink, both refreshes and invigorates. It gives immediate relief in such monitory symptoms as heartburn, sourness of stomach, or light headaches, but its salutary power goes much deeper. James Crossley Eno had begun making and selling his product from his pharmacy in Newcastle's Groat Market. His fruit salts were sold to sailors, to help them cope with 'sea-sickness, fever and change of climate'. 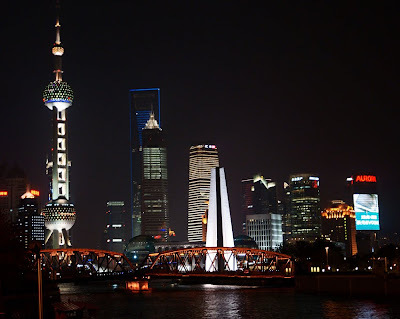 Taking it with them on their voyages, they spread its renown across the world. Demand grew so much that Eno soon established a small factory in Newcastle before moving to the larger site in Pomeroy Street, New Cross. He was known as a good employer who provided staff with a relatively pleasant working environment, a Works Committee and a staff recreation club. The advertisement in The History of Deptford was part of an ongoing campaign distinguished by Eno's fondness for quotations (apparently he wrote the adverts himself) and use of full-page adverts. His approach was successful, with the brand achieving worldwide recognition. Eno himself became a millionaire, and maintained his links with Newcastle: for example, he was a major subscriber to the Newcastle Infirmary and an investor in the Tyne Steam Shipping Co.
Eno's Fruit Salt is still being manufactured, although it had moved from New Cross by 1940 - first to Brentford, then Watford and later, as part of Beecham's, to St Helen's. The brand is now part of GlaxoSmithKline. 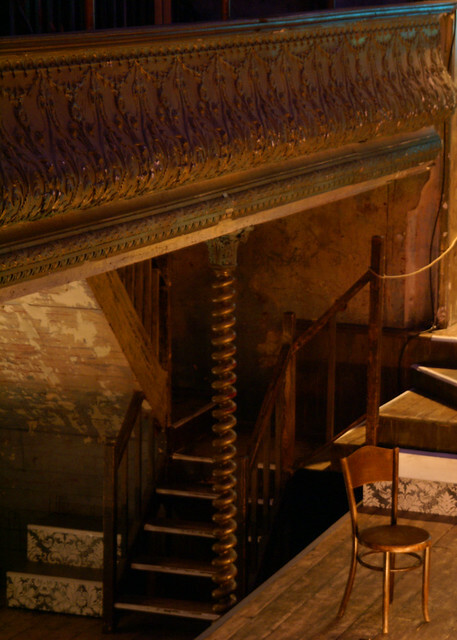 Wilton's Music Hall needs help! It's only just over a month since I featured Wilton's Music Hall, but there have been further developments in their restoration plans. Unfortunately, these are not positive: a bid for lottery funding has been turned down. The Music Hall urgently needs to raise alternative funds so it can restore the fragile, decaying building or it will face closure in the autumn. If Wilton's can't find the money then it doesn't just mean the loss of a successful arts venue in Tower Hamlets. It also risks the future of a rare and important piece of cultural history. Let's hope that the new fundraising campaign is successful; if you wish to donate, you can do so via their website or text "whmt18 £2" to 70070. The United Kingdom has had twenty items inscribed in UNESCO's Memory of the World Register, and the list is a fascinating one. It highlights not only some key parts of our history, but also the amazing range of archives and collections we have. My favourites include a joint entry by the Women's Library and the Parliamentary Archives, a selection of holdings relating to the women's suffrage movement. In just eight documents, the fight for votes for women is encapsulated; it begins with an 1866 petition, passes through a protest in parliament itself (the banner unfurled by protestors is preserved) and the Cat and Mouse Act which saw hunger-striking prisoners released and reimprisoned, and ends with the Representation of the People (Equal Franchise) Act 1928. If you thought women got the vote in 1918, you're half-right: women over thirty did, but we had to wait another decade for women to have the vote on the same terms as men. Also on the list, the diaries of Anne Lister are one of the most amazing nineteenth-century sources. A Yorkshire landowner, she recorded her travels, business dealings, politics and (in code) her lesbian relationships. Selections from the diary have been published and televised, but the original is held by West Yorkshire Archive Service. Do have a look at the full list: what are your favourites? 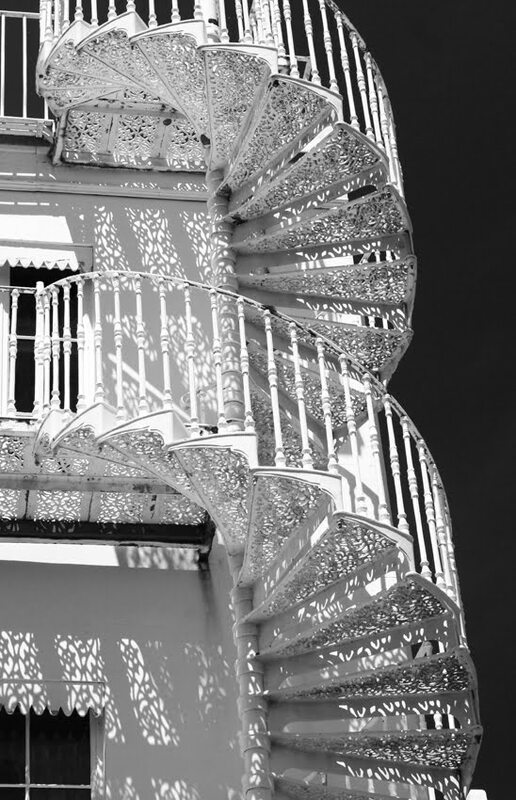 These dainty stairs with their lacy shadows are on the rear wall of Hauteville House, Guernsey. This was the home of Victor Hugo, who lived here in political exile in the mid-nineteenth century. He passed the time decorating the interior - which is extraordinary, and accessible on guided tours - visiting his mistress Juliette Drouet who took a house nearby, and writing (or completing) Les Miserables, followed by The Toilers of the Sea which he dedicated to the people of Guernsey. The house is preserved as a museum to Hugo. It is owned not by the island but by the City of Paris. This shopfront isn't really a ghost sign as such, but is rather evocative all the same. 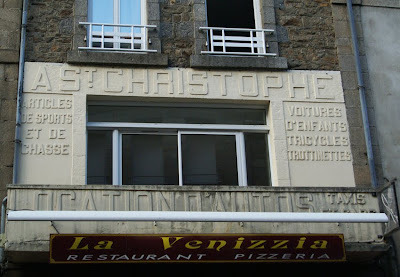 Although Guingamp is a proper town, and this building is near the market, A St Christophe offered the broad range of products and services I tend to associate with village stores. You could shop on the premises for 'sport and hunting equipment' as well as 'prams, tricycles, scooters'. (I'm not sure whether I like or worry about the image of buying a shotgun and a baby carriage in the same transaction!) Underneath, the sign offers a third option: auto rental, taxis and coaches. The shop and rental business are gone; the premises have become a pizzeria. However, the sign remains to tantalise us. 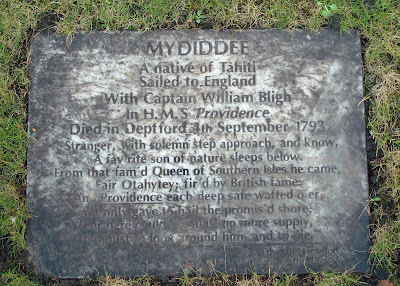 Mydidee was brought from Tahiti to London by Captain Bligh, most famous for the Mutiny on the Bounty. His journey ended tragically - as did that of another Tahitian, Pappo, who stowed away as far as Jamaica only to die there. A grimy plaque in the grounds of St Paul's Church records one of Deptford's notable visitors. Sadly, Mydiddee - one of the first Tahitians to come to Britain - barely survived long enough to reach dry land, and died within a month of his arrival. As so often for Deptford, Mydiddee's story cannot be disentangled from the history of slavery. He had travelled from the South Pacific with Captain Bligh, most famous for being subjected to mutiny on the Bounty, his previous ship. Less well-known is that the purpose of Bligh's journey was to obtain breadfruit plants, with the idea that they could be grown in the Caribbean to feed slaves cheaply. At the time, the islands could not produce sufficient food for their inhabitants, and it had to be exported expensively from North America - particularly difficult now the American War of Independence was underway. Bligh returned from the second breadfruit expedition on HMS Providencewith the plants, and with Mydiddee. Bligh was following the example of Captain Cook, who had also brought a Pacific Islander- Omai - to London. He had been feted by society and even met the King and Queen before returning to Tahiti in 1776. Rosemary Hunter suggests that Mydiddee was brought to Britain to act as a cultural ambassador who would return to Tahiti to impart useful knowledge there. A Tahitian chief had asked to make the journey himself but Bligh offered to take his servant Mydiddee instead, seemingly because he was less important and so there would be less trouble should anything go wrong - as of course it did. According to Hunter, Mydiddee died from a misguided attempt to innoculate him against smallpox: in fact, the vaccine infected rather than protected him. He was already seriously ill when the ship reached Jamaica to unload its breadfruit cargo, and Bligh sent him to hospital there. By the time he reached Deptford, his death was imminent. What did Mydiddee think of England? He had little time to form impressions, especially given his state of health. 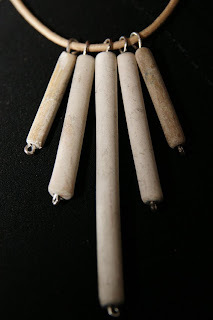 However, Bligh did record that he was disgusted by the sight of gibbets along the Thames - hardly surprising to the modern reader, since gibbets exhibited the decomposing bodies of executed criminals. Yesterday died, at his lodgings at Deptford, the NATIVE OF OTAHEITE, lately arrived in the Providence; he was subject to pulmonary affections, had been frequently ill during the voyage, and twice recovered from imminent death by the unremitting attention of his friends, who were ever ready to contribute whatever had a tendency to promote his health and comfort, particularly his patron, Captain BLIGH. This unfortunate young man was seized shortly after his arrival with internal complaints, and became much better, when a violent recurrence of his symptoms on Friday morning tended to accelerate his dissolution. His native suavity of manners had endeared him to all who knew him, and his death is sincerely lamented by every individual engaged in the expedition, in whose memories he will long exist. A fav'rite son of nature sleeps below. Than just to look around him, and to die. Interestingly, it reflects many of the preoccupations of the era and the voyage (although telling us virtually nothing about Mydiddee himself): the idea of the 'noble savage' or 'son of nature' promoted by Romantics such as Rousseau; British national and naval pride; and the smaller theme of yet again emphasising that it wasn't 'safe'Providence that killed him. Bligh paid for Mydiddee's funeral and tombstone, but the memorial was never erected. That was finally put right on 2 August 1988 when the current memorial stone was dedicated in St Paul's churchyard by the Bishop of Polynesia, in the presence of Bligh's great-great-great grandson. The project had been led by Timothy John Waters of the Pitcairn Island Study Group and Father Peter Fellows, who quickly raised the £500 for the stone. Finally, Bligh's own return was little happier. Times had moved on since his departure: there was little interest in his experiences, so his account of the journey went unpublished; the movement for abolition of slavery was underway; and the introduction of breadfruit to Jamaica was initially unsuccessful as slaves refused to eat it. He was known dismissively as 'Breadfruit Bligh' and history would remember only his disastrous earlier journey on the Bounty. Further reading: Rosemary Hunter, 'Surviving the Pacific' 1(2) Pacific Island Focus 23 (unfortunately, no longer available online). Londonist Out Loud is a fortnightly podcast by N Quentin Woolf which is always well worth a listen. I do have a particular reason for mentioning the latest episode, though: it features me! Well, how could I resist the opportunity to chat about London with fellow guests Beth, Londonist news reporter, and Sean, editor of Open Pen? There's also an interview with historian Russ Wiley, a song from Nigel of Bermondsey and history from Lucy Inglis - all fascinating stuff. As our libraries become more scarce and threatened, it's hard not to contrast this decline in provision with the appearance of numerous, often elaborate buildings in the Victorian period. 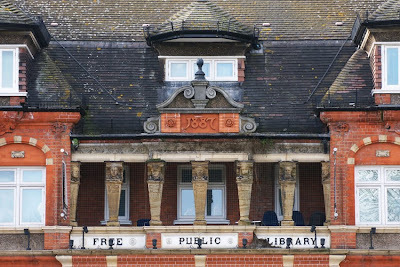 West Norwood has a lovely example, with 'Free Public Library' across its facade. It is the work of architect Sidney Smith, who may be better known for Tate Britain but also built other Lambeth libraries. That's no coincidence: both libraries and gallery were commissioned by Sir Henry Tate. Like his Scottish-American counterpart Andrew Carnegie, who also gave library buildings to the capital, Tate was a self-made millionaire. Starting as a grocer's apprentice, he went on to have his own shops before moving into sugar refining. His fortune allowed him to support a number of causes including educational establishments and hospitals, as well as to found libraries and the eponymous gallery. There was good reason for Tate to establish his libraries in South London: he lived in Streatham and is buried in West Norwood Cemetery. One factor which helped Tate and other philanthropists was that the Libraries Act 1850 allowed local councils to finance public reading rooms. However, important restrictions on this power -particularly a cap on the amount councils could spend - made the involvement of benefactors invaluable. (The Act had been controversial, and at least one opponent had argued that more knowledge just made the working classes harder to manage.) Free libraries made books available to those who could afford neither to buy them nor to pay the borrowing fees at commercial lending libraries. They also provided a place to read them, ideally one more quiet and spacious than the overcrowded homes of many ordinary people. The West Norwood building ceased to be a library in 1964 (replaced by a more modern, but less attractive, one nearby). However, it is protected by Grade II listing and after a period of disuse is now a council venue and activity centre. I photographed this piece of street art while walking through the City: it's very near Royal Exchange and Change Alley. 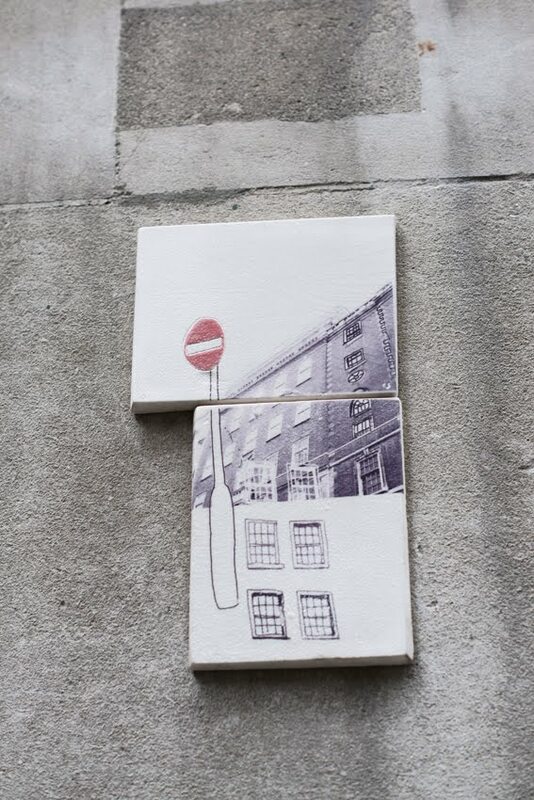 However, I can't remember the precise location and don't know who the artist is - although the style does seem familiar. Can anyone put me out of my misery with more information? Our nineteenth-century forebears loved a grand project as much as they enjoyed a grand dinner. They managed to combine the two in some very memorable meals: here are my favourite London examples. 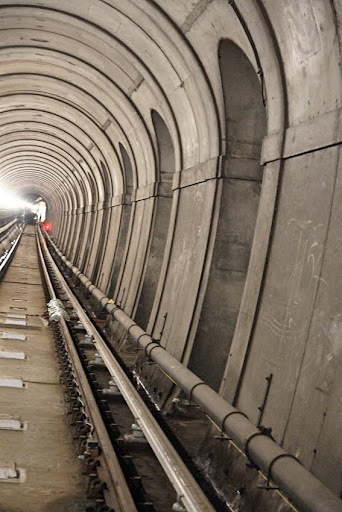 The most novel venue was perhaps the Thames Tunnel, since it was the first to run under a navigable river. The project did not go smoothly and the men in charge, Marc Brunel and his son Isambard, needed to persuade their backers to keep the money coming. Thus, after the project had been set back not only by a major flood but also by Marc's paralytic stroke, a banquet was held for investors in November 1827. Guests included the Duke of Wellington; the Coldstream Guards provided music; and the event was a great public relations success. Work could continue, and (after several further dramas) engineering history was made. 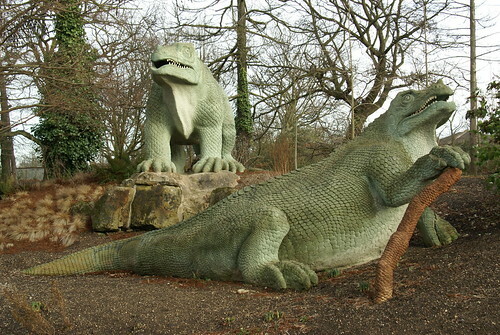 No less strange a dining room was the interior of an iguanadon at Crystal Palace Park. The dinosaurs represented the cutting edge of scientific knowledge at the time, intended to form an educational attraction for Londoners. However, there was the opportunity for a bit of fun before the public were allowed in - the dinosaurs' sculptor Benjamin Waterhouse Hawkins held a new year's eve dinner inside an iguanadon mould in 1853. It was placed beneath a tent and its back was cut open so that a dining table and chairs could be placed in the interior. Our third dinner took place at the top of Nelson's Column, just before Nelson himself arrived at his current vantage point. In 1843, 14 stonemasons with a good head for heights celebrated the completion of the column with a meal atop it. Their dining table was then exchanged for the familiar statue. The lost London theme tied in to their current exhibition, Lost London Museums. The Hunterian itself, although very much here and thriving, suffered serious bomb damage during the Second World War. As the museum of the Royal College of Surgeons, it holds an eclectic mix of items including skeletons, specimens in bottles and surgical instruments; among the exhibits lost was the skeleton of the tragic Chunee the elephant, former star of the Exeter Exchange Royal Menagerie. Lost London also took material form that evening with a necklace made from clay pipe. 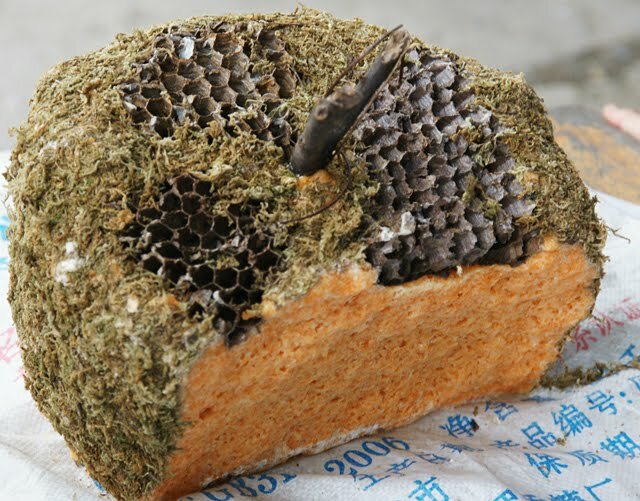 These fragments are a bit of social history which really has disappeared: for centuries before the invention of the cigarette, the most usual way to smoke tobacco was in cheap, unglazed pipes. They were each used a few times and discarded. The pipes are no longer in use, but many were thrown into the Thames to be washed up centuries later on its foreshore. I've collected a few pieces which just sit on a shelf, but Jane makes them into unique jewellery. Finally, for another view of Lost London, enjoy films on the theme this Thursday at the John Harvard Library, SE1. The free event begins at 5pm and is presented jointly by the BFI and East Street Library Local History Group. Spring seems to be coming and going at the moment, so here's some guaranteed sunshine. This building is a real favourite of mine: it has that perfect seaside resort look. Now that spring is (intermittently) here, it's time to start thinking of the seaside. Nothing conjures up the golden age of glamour, sunshine and Agatha Christie mysteries better than a bit of art deco, and Pléneuf-Val-André on the Breton coast has a gem. 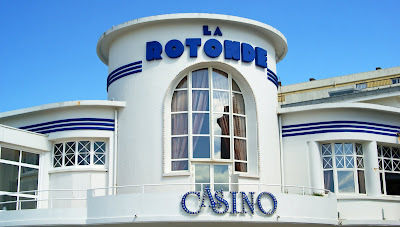 La Rotonde casino was built in 1934 by architects Le Goullec et Petit. It replaced an obsolete Victorian original, and still provides gambling, a restaurant and a jaunty air to the sea front. 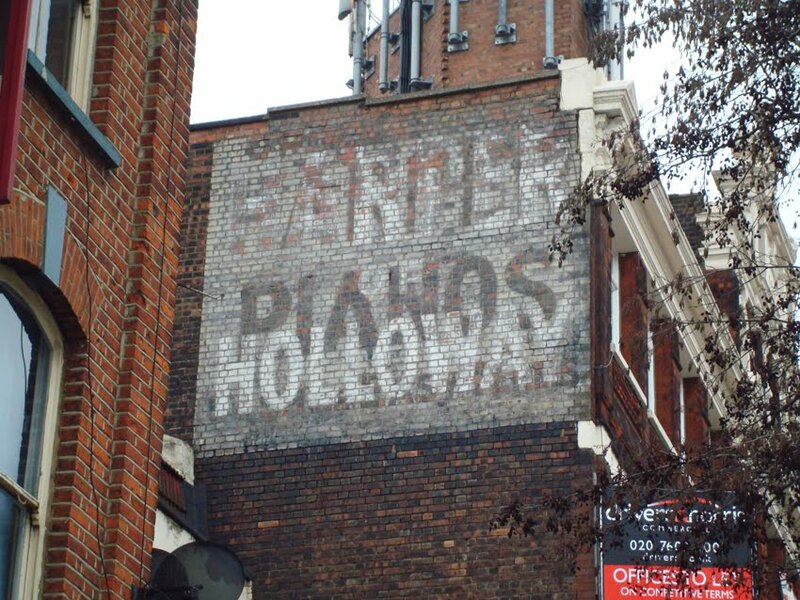 The Harper Piano Co of Holloway Road were active in the first half of the twentieth century, manufacturing a range of instruments including gramophones and 'synchronising pianos for cinema theatres'. 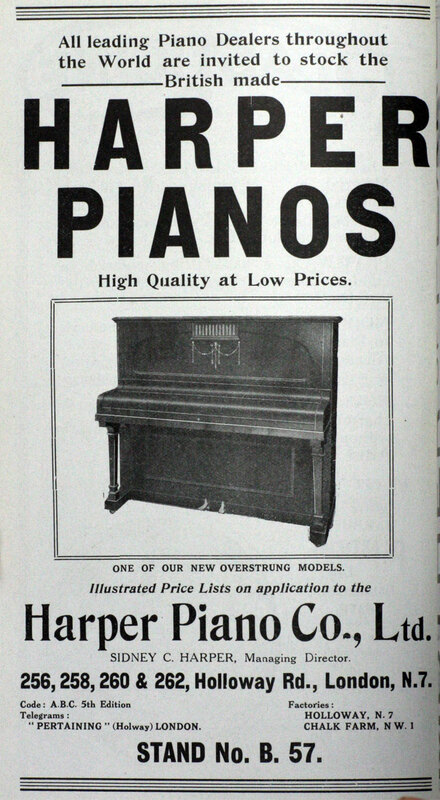 The company later changed its name to the Harper Electric Piano Co, not because it was making an Edwardian electronic keyboard but because it made instruments which could only be played after putting a penny in the slot. In the year to November 1905 they sold 55 of these, mainly to cafes and restaurants. 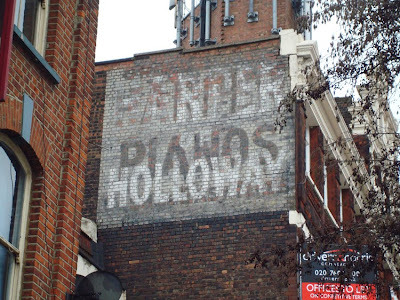 Although the company is long gone from Holloway Road, the sign still stands out. It appears to have been overpainted at least once. Image (left): 1922 British Industries Fair advert, via Grace's Guide wiki. The advice to Londoners to look up is rarely more apt than here on Regent Street. Above the plate glass and shiny modern gadgets are some wonderful Victorian details. These fabulous mosaics date from 1898, although they were restored in 1999. They made a fitting advertisement for the original occupants, the Italian glass- and mosaic-makers Salviati. Among their other London projects were two Victorian icons, the Albert Memorial and Westminster Cathedral. Very aptly, the mosaics have London and Venetian themes. 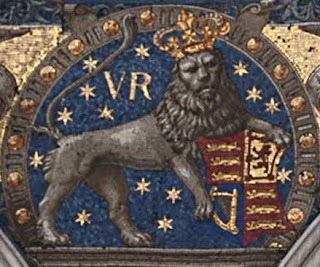 Between coats of arms are lions - one is the British lion, the other the lion of the St Mark. The cities named across the top are, as you'd expect, those where Salviati had shops. The firm's founder, Antonio Salviati, was actually a lawyer rather than a glassmaker by training. However, he opened his first glass company in 1859; his later Compagnia Venezia Murano is still trading today, as Pauly & C.
There's a thought-provoking post on the Ghostsigns blog about restoration. Should these old advertisements be restored to their original bright colours or left to slowly fade away? 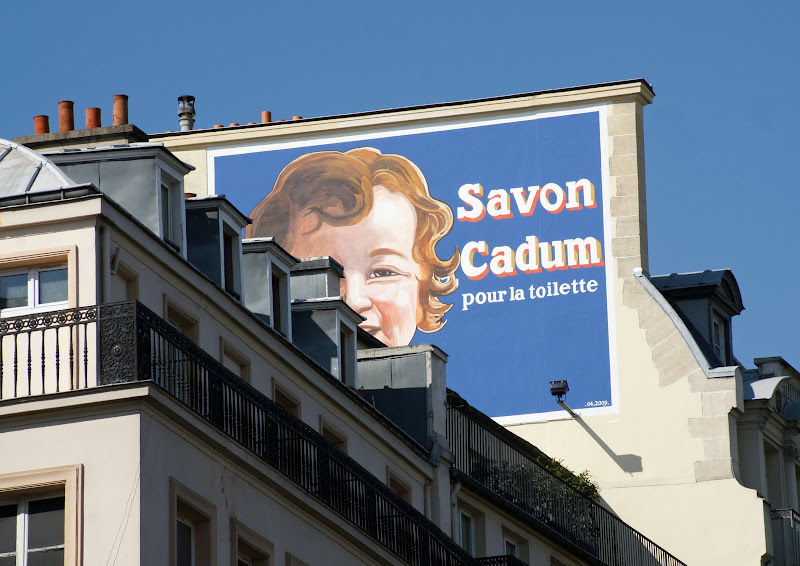 Recreating the brilliance of the colours and the messages being conveyed offers some insight into how striking these advertisements would have been when they were fresh and young. However, something is lost in doing so. The position the signs hold within individual and collective memories relates in some way to the survival of the decaying original rather than any attempt to restore it. He prefers the idea of the skills, rather than the signs, enjoying a new lease of life. The possibility of new painted signs appearing on our streets is certainly appealing, and not as far-fetched as it might sound. There has been something of a revival in the United States. My own view is very similar: there is something about the process of survival itself, the uneven fading, the missing edges, the intrusion of a new window, the multiple layers of a palimpsest, that gives the ghost sign its appeal. 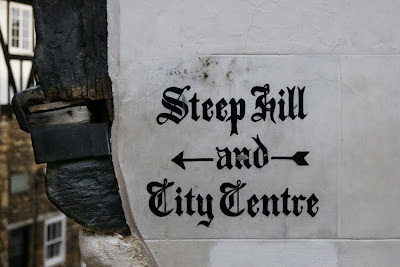 A lot of character is lost when a sign is repainted: the sense of a fragile historical survival is gone and a glossy reproduction stands in its place. However, at the same time I'm disappointed when a sign decays further or disappears. 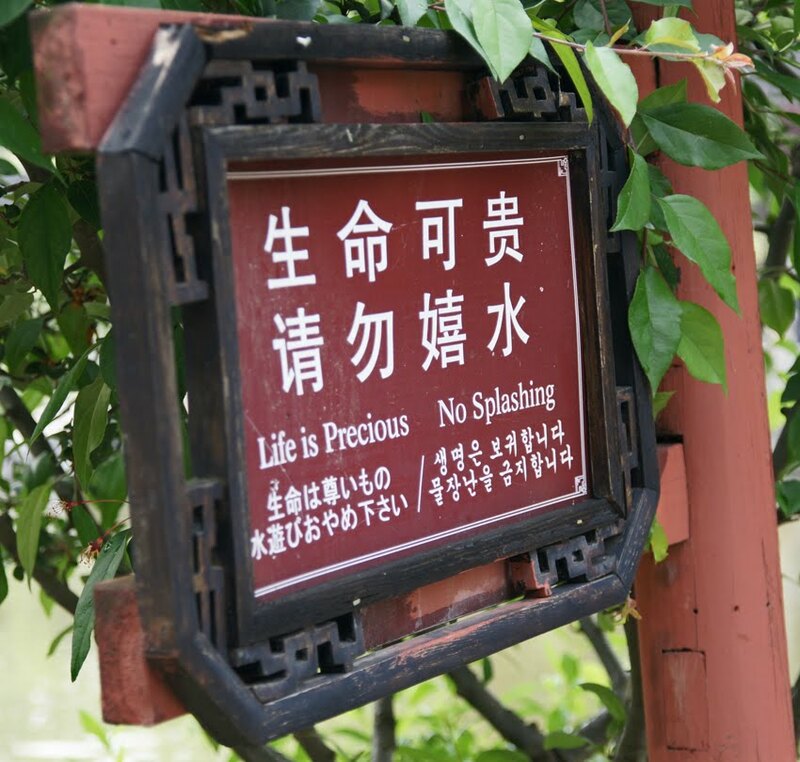 Is this asking for the impossible, then, or could we look for a way to preserve these signs without restoring them? 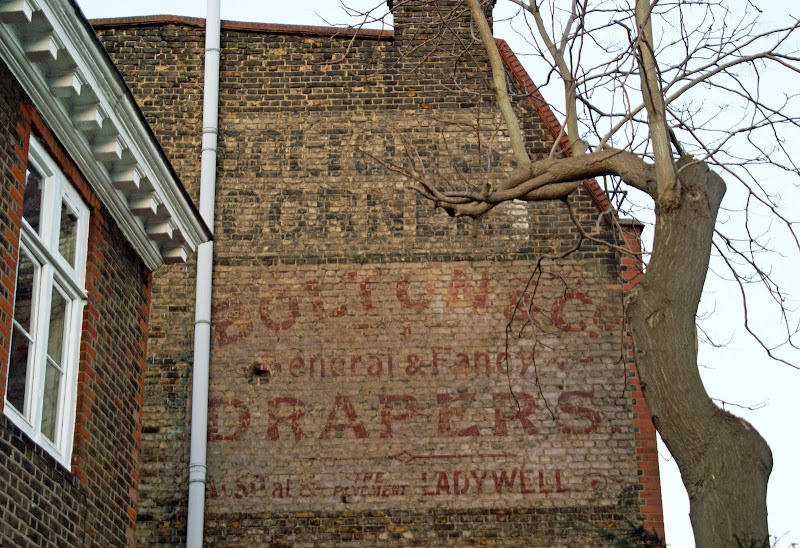 This sense that the aging process is part of the charm is not limited to ghost signs. Often, what we love about historic buildings is their faded glamour: hence the popularity of the wonderful Wilton's Musical Hall. 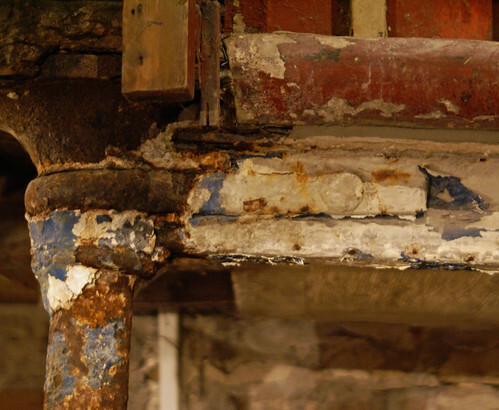 Does a building's restoration to 'showroom condition' enhance the feeling of stepping into the past or destroy it? Images (from top): unrestored ghost sign, Lewisham; repainted sign, Paris; Wilton's Music Hall. This image is a solargraph: a record of the sun's path since December. It was taken in Brittany, and you can just about make out the trees on the horizon. Obviously I didn't leave my camera on a windowsill for three months or so: I made a pinhole camera using a beer can. 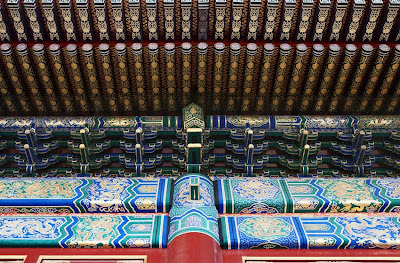 For instructions (and much better images), click here and here. 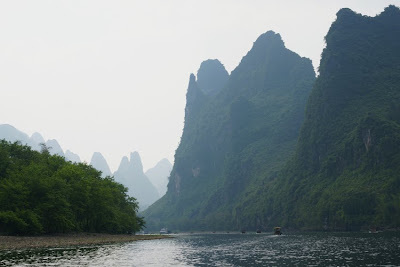 Some road names are highly inaccurate: many High Roads are not actually high, plenty of Groves are devoid of greenery, and there are Orchards in London with not a fruit tree left. 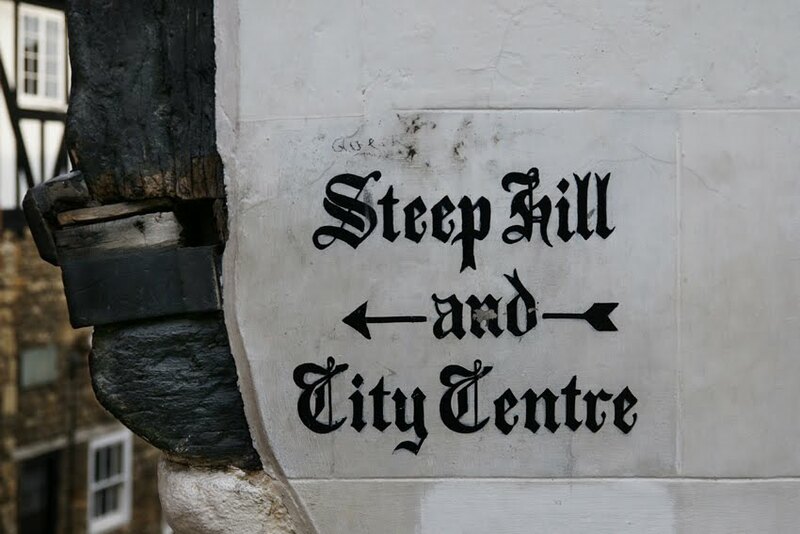 By contrast, Steep Hill in Lincoln is most definitely a steep hill. 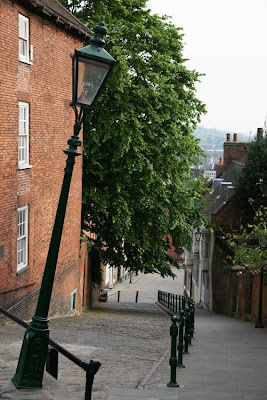 Even the lamp post appears to have vertigo. So, is this a pleasing example of accuracy in naming? Or should we prefer a more imaginative approach? This strange-looking object was one of the specialities I came across in Yangshuo, China: apparently, the moss-covered object is a lump of wild mountain honey. The mass above still has a piece of branch through its middle. 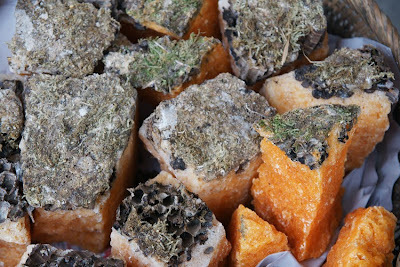 It has dried into a solid piece, and is chopped up with a cleaver and hammer for sale in smaller lumps. Pieces can then be broken off and melted into hot water as a drink. I've not been able to find out any other information about this. If anybody knows more, I'd love to hear! 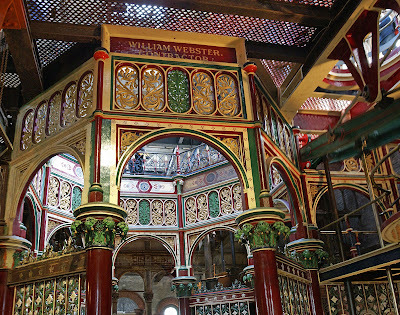 London's 'cathedral of sewage' is an amazing piece of Victoriana. It's currently undergoing a major programme of work, but will open for a few days this summer (June 26 and 18 September). 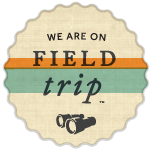 I visited two years ago, and absolutely loved it. When Joseph Bazalgette built London's sewage system, the network took sewage to the edge of London. It could then be discharged into the Thames at high tide and flow out to sea without polluting the capital's drinking supply. At the outfalls, pumping stations lifted the sewage ready for discharge at high tide: that for the original outfall south of the river, at Deptford Creek, is not open to the public but the later Crossness station welcomes visitors on regular open days. 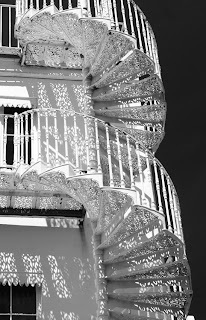 It's an amazing and extravagant display of Victorian ironwork. The subject matter may have been essentially prosaic - the removal of sewage from inner London - but the scale and importance of the endeavour surely justified such exuberance. For Pevsner, this building was a 'cathedral to ironwork' and the 'cathedral' label has stuck, albeit usually paired with 'sewage'. 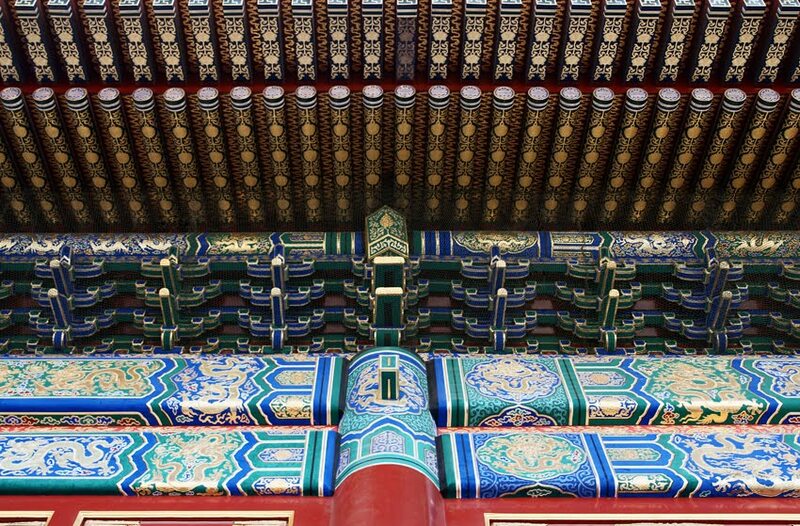 Four engines stood in the four corners of the building; the centre is taken up by an elaborate octagonal structre. The monogram of the Metropolitan Board of Works features throughout, and the contractor has included his own name prominently on one side. As for the four engines, they were named in (a slightly questionable) honour of the royal family: Victoria, Prince Consort, Albert Edward and Alexandra (the latter couple, the Prince and Princess of Wales, formally opened the building in 1865). The station fell into disuse: it was last used in 1953 to help drain flooding in Royal Arsenal and Abbey Wood. Happily, the volunteers of the Crossness Engines Trust have been working hard since 1985 to restore the site to its full Victorian glory. 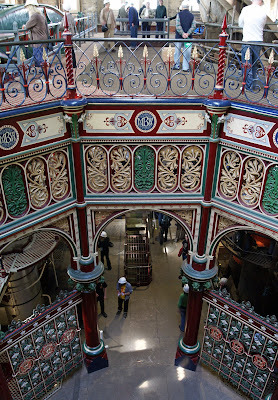 Visitors can now see the Prince Consort engine in steam, appreciate the repainted ironwork, and generally get a real sense of this glorious building. However, the work is not over: the next major stage involves repairing the fabric of the building and improving visitor facilities, with work starting this summer.